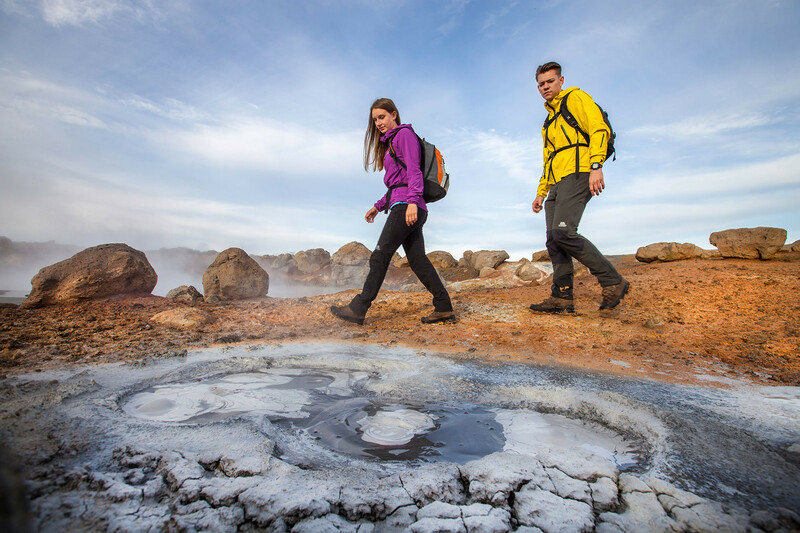 Discover the Hengill Volcano geothermal area on an easy hike, travel into the lava caves of the Icelandic underground and enjoy a bath in Reykjadalur’s steamy natural stream on this one day adventure from Reykjavík. Explore the famous Hengill Volcano and the Icelandic underground on this day tour. The journey begins by venturing into one of the many lava caves in the Bláfjöll mountain range, just east of Reykjavík. You will find out how lava caves are formed and discover a wealth of geological formations, including stalagmites and stalactites. After enjoying the hidden beauties of the underground, we head to the Hengill geothermal area. There, you take an easy hike in magnificently ethereal surroundings that feature hot springs and bubbling mud pools that await your exploration. The hike continues down through Reykjadalur, the Smokey Valley, where it is possible to enjoy a natural bath in a warm stream. We joined a one day tour to visit the lava cave and got sprint today. Our tour guide was fantastic. He explained a lot of Icelandic nature alone the way and he took us for the hot spring first then a coffee break then visit the lava cave. The hike to the hot spring is very scenic. Beautiful green Icelandic landscape with geothermal activities along the way...The natural hot spring was so relaxing. My skin felt very soft afterwards. The lava cave is very cool as well... Overall a great day hiking, caving and enjoying hot spring. Adventurer of the Week: Sydney explores a Lava Cave!